[EAN: 9783954080342], Gebraucht, guter Zustand, [PU: Edition XXL GmbH], Ships with Tracking Number! INTERNATIONAL WORLDWIDE Shipping available. May not contain Access Codes or Supplements. May be ex-library. Shipping & Handling by region. Buy with confidence, excellent customer service! Du merkst, dass du alt wirst, wenn . 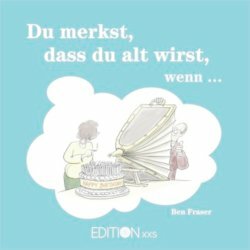 Detailangaben zum Buch - Du merkst, dass du alt wirst, wenn .